Upper and lower burrow clusters are outlined. At the base are park visitors. Bank swallows (Riparia riparia) are small, cliff-dwelling birds. They breed for about 4 months in California, and then return to their habitats in South America. Bank swallows dig burrows into the sandy face of the cliff. Identifying marks: Bank swallow has a dark band on breast. Barn swallow has a deeply-forked tail. At the heart of the Fort Funston fight is protection of the bank swallows. Although there are pro-dog and anti-dog advocates, EVERYONE is in favor of protecting the Bank Swallows. Green Friends believe in science-based decisions. What does the scientific data indicate? 1) Bank swallows (Riparia riparia) are threatened with extinction. FALSE. In spite of what some GGNRA sign states, bank swallows are not an endangered species, nor are they likely to become extinct if the Fort Funston population continues its decline. Bank Swallows are a threatened species only in California. They are considered common in the North America range, and they are also common world-wide, including Europe, where they are called "sand martins." 2) Bank swallows commonly nest on coastal cliffs. FALSE: Dwelling on coastal cliffs is rare. That is why there are only two coastal colonies in California. The scientific name, Riparia riparia, refers to riparian ecosystems, that is, to rivers. In California, 75% of the population is confined to the Sacramento and Feathers rivers. The remainder is found in the counties such as Yolo, Shasta, Lassen, Modoc, Siskiyou, and Mono. There are only two coastal colonies, in San Francisco and San Mateo. 3) Native plants are necessary for the Bank Swallows. FALSE: Native plants are not a criteria for the colony location, nor necessary for food. In facts, the Fort Funston Bank Swallow population declined after the existing ecosystem was disrupted and native plants were substituted. In general, bank swallow nests, because of their placement on verticals faces of banks and bluffs, are generally devoid of vegetation around othe burrow. 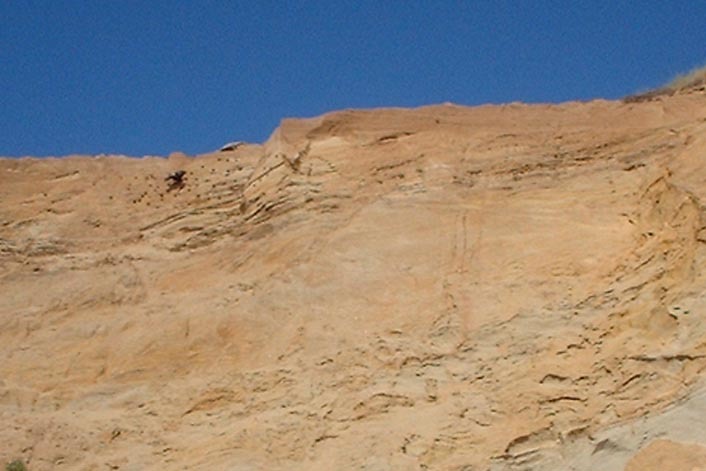 Vegetation on the top of the cliff can range from grassland, coastal scrub communities, coniferous forests, under irrigated pastures, riparian forests, and desert shrub habitats. Almost 100% of the bank swallow diet is comprised of insects. 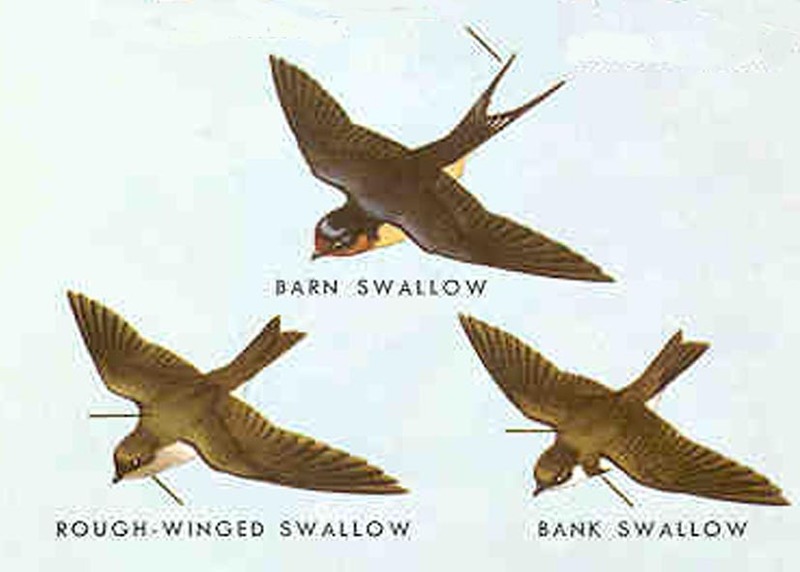 However, bank swallows are not picky eaters requiring "native plant insects." They have diverse dietary habits, and will forage in any area that has large amounts of any insect biomass. Fort Funston bank swallows' favorite cafe is at Lake Merced. 4) Recreational users at Fort Funston are a threat to bank swallows. FALSE: Bank Swallows appear relatively insensitive to moderate levels of human-induced disturbances. The bank swallows are cool if you're not climbing on the cliff face, or hovering directly above the burrows. There is no evidence that recreational users otherwise disturb the behavior of the swallows or the swallow burrows. Successful bank swallow colonies occur on bank under farmland, near recreational boat traffic, car and pedestrian traffic, hydoelectric generators, livestock grazing, etc. California Department of Fish and Games states that land uses don't seem to matter as long as the integrity of the nesting bank remains. 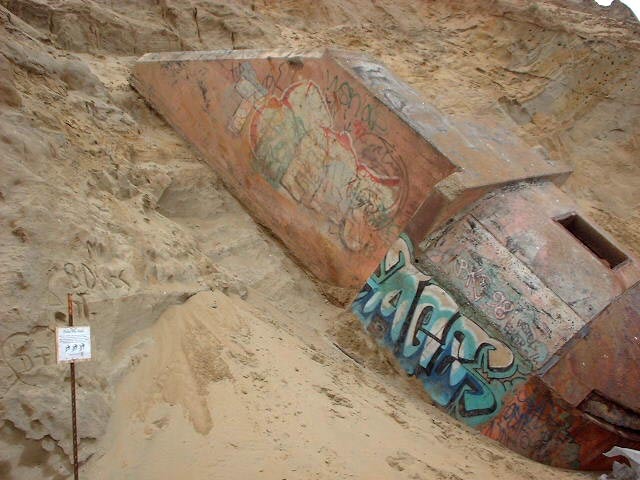 The Fort Funston colony, first recorded in 1905, has existed for decades first in a military installment,and then in an urban park. To reach their feeding grounds, Lake Merced, the swallows fly over a state highway and noisy gun range. What is a threat to the bank swallows in California? According for California Fish & Game, the major threat is in central California, flooding and erosion disturbances during the breeding season. 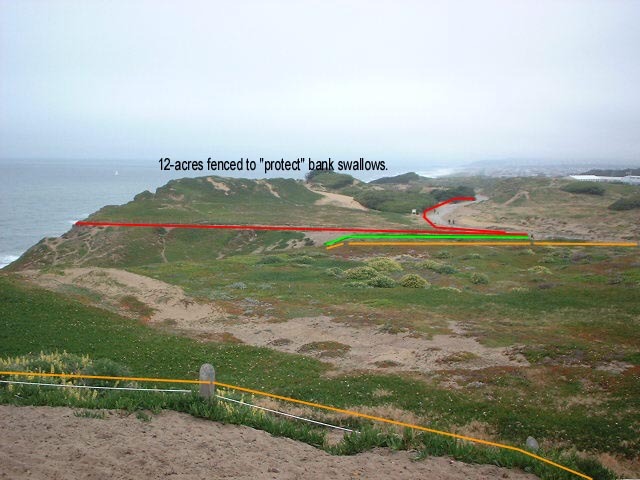 For the coastal colony, the GGNRA biologist identified predatory birds, such as kestrels, and graffitti vandalism as the major threats to the Fort Funston colony. There was NO evidence that dogs presented a threat. 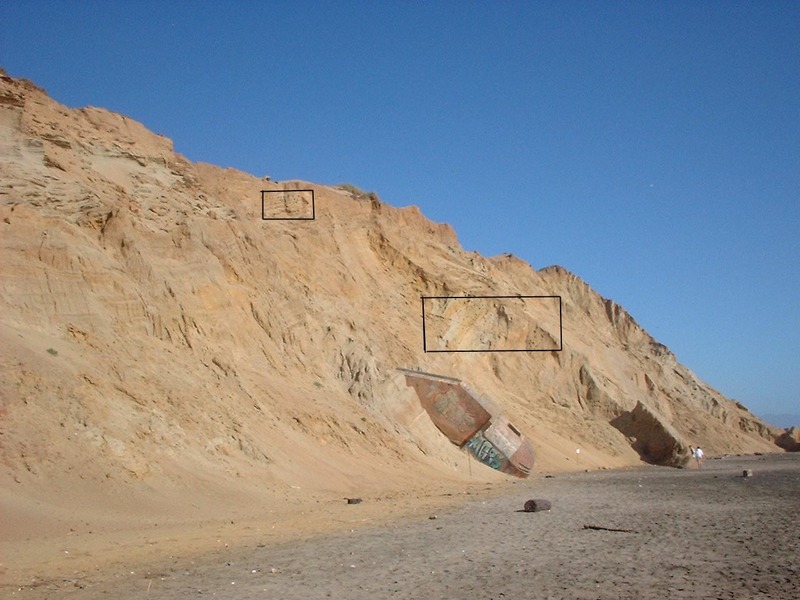 In addition, At Fort Funston, the major cause of erosion is ocean and storm activity. The numerous landslides are evident. However, unless a landslide happens during breeding season, it isn't necessarily detrimental, since bank swallows will build new burrows if the old ones are gone. Raven hunting in the upper colony. Ravens prey on young swallows perched at the mouths of the burrows. A GGNRA study identified graffiti vandalism as a threat to the bank swallows. 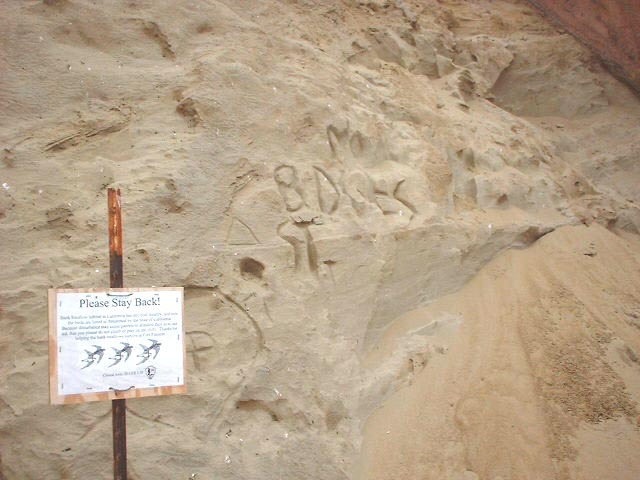 The sign says "Please Stay Back," but this doesn't prevent vandals from climbing and spraypainting. 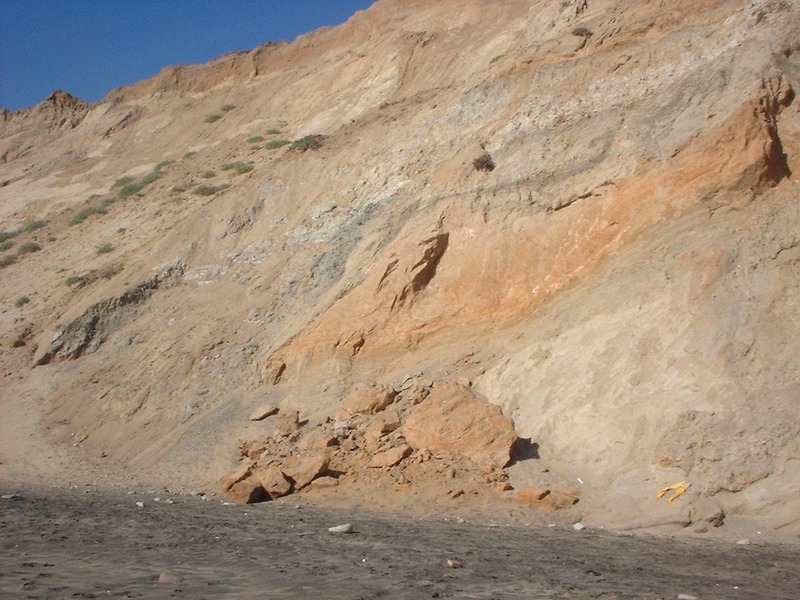 Waves from winter storms and high tides are the major cause of erosion at Ocean Beach. 5) The GGNRA was established to provide recreational open space, i.e. the "R" in GGNRA stands for "recreation." TRUE. In the 1950's a congressional commission, the Outdoor Recreation esources Review Comission reported that outdoor opportunities were urgently needed near cities. The most popular outdoor activities were walking, hiking and picnics. The committee recommended the establishment of national recreation areas located in or near urban areas, designated primarily for outdoor recreation use rather than natural or historical preservation. This led to the establishment of parks such as the Golden Gate National Recreation Area. Urban park or wilderness, an important goal at all national parks is the conservation of natural resources. With good park management, recreational use and conservation are compatible. Current park management has concentrated all off-leash dog recreation into limited areas. 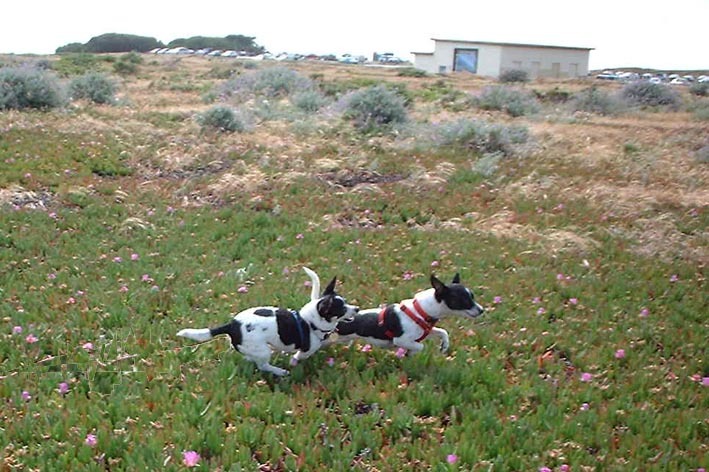 During the 1990's, most SF GGNRA off-leash areas were closed. This was correlated with a huge increase in visits to Fort Funston. In addition, 20% of FortFunston is now closed. 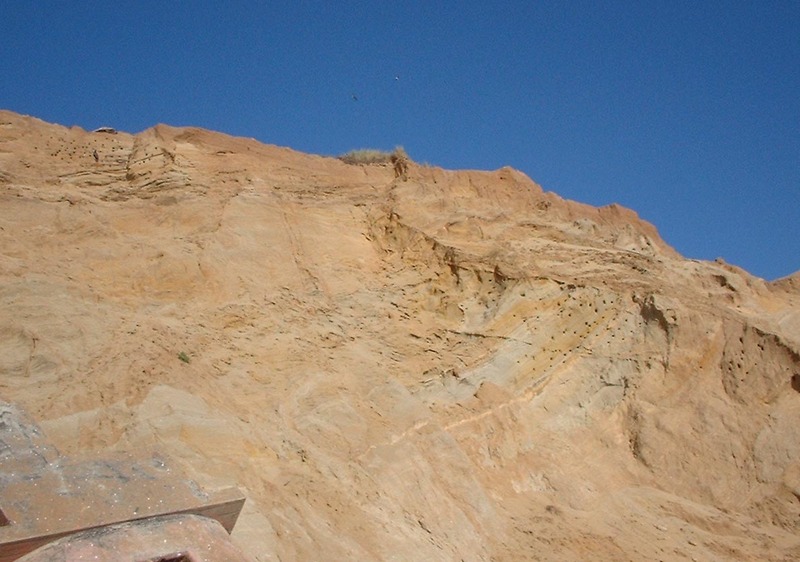 Rather than protecting natural resources, NPS policies may contribute to degradation of natural resources by exceeding the carrying capacity of Fort Funston. Furthermore, lack of recreation space in urban parks may lead city dwellers to drive to outlying, sensitive habitat for recreation, or to move from the city and contribute to urban sprawl (a major threat to biodiversity). Red=closed area. Green=beach access pathway. Orange=closed area. For over 40 years, dogs and wildlife have peacefully co-existed at Fort Funston. US Distribution of bank swallow (sand martin) population.